When I was 3 years old, Jim Henson and the Muppets marked me for life. Well, due to Sesame Street, they had actually marked me earlier in a–for lack of a better word, perhaps–spiritual sense, but this was the year that they marked me physically, as well. There was basically nothing I loved more in the world than Kermit the Frog. 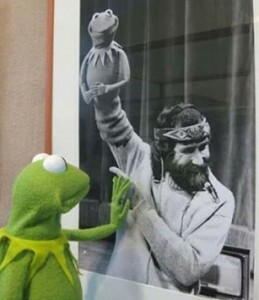 My earliest memories involve watching The Muppet Show or Sesame Street with my mom and grandparents, playing with my Kermit doll (which I took with me everywhere), and going to see The Muppets Take Manhattan in the theatre (I still remember my mom crying at Kermit and Piggy’s wedding). I would get so excited whenever I got a chance to see him on TV (this was slightly before VHS) that the mere mention of his name would practically cause me to lose all sense of time and space. I would be drawn to the magnetic pull of the little green guy and his weirdo friends, with no control over my mind or body. You know that dream sequence in the recent film, The Muppets, where young Walter imagines the Muppets reaching out of the TV and welcoming him into the Muppet Theatre with them? That scene is basically documentary footage of Little Me. One day, when I was maybe 3, my mom called me into the living room to let me know it was time for The Muppet Show (which I didn’t realize at the time was actually in reruns, as the show’s original run ended the year I was born, 1981), and I was instantly filled from head to toe with such an overpowering fervor that I ran in like a mad thing, completely forgetting there were two small steps to descend before entering the room. And so, in my rush to reach my beloved frog, I tripped and flew over them, landing face-first on the wooden floor and breaking my front tooth in the process. How very Gonzo of me! And so I spent the next handful of years with a capped front baby tooth. Years later, as luck would have it, I broke the adult tooth in that exact same position in gym class, so I feel in a sense that it was always fated to be that way, my little sacrifice to the Muppet gods. I’m not sure at what exact age I came to understand who Jim Henson was–that these characters, these friends who guided me through my early years, teaching me about spelling, humor, life–actually sprang from the mind of a man, who also performed them with a brilliant team nearly as talented as he was, though I have to assume it was some time before or around January 22, 1986, when a special aired on TV, The Muppets: A Celebration of 30 Years, which featured Jim along with his delightfully zany characters, and which my mom taped for me on video (we had our first VCR by then, though possibly not by much! ), and which I would would watch over and over and over again. It was this show that introduced me to some of Jim’s more obscure work, at least by today’s standards–his earliest show, Sam and Friends, his commercials, and more. If my lifelong obsession with the Muppets began too early for me to remember, my lifelong obsession with Jim Henson probably started then. I remember when he died on May 16, 1990 and how devastated I was by the news. His was the first celebrity death that truly affected me. From that point onwards and all the way up to now, I devoured absolutely everything Jim Henson I possibly could, from old Muppet specials to his darker 1980s fantasy films, each year in many ways falling even more in love with this remarkable man and his inestimable contributions to the world. My brain is a veritable museum of Muppets and Jim Henson trivia. I’ve seen obscure specials that only the most devoted fans have even heard of. And when my friends and I went to the Museum of the Moving Image in Queens a few years ago to see the Jim Henson exhibit and I found myself in the same room with Kermit, Piggy, Fozzie, Gonzo, Bert, and Ernie, and even some less well-known characters that I instantly recognized (in some cases, I was the only one in my group who did), it was nothing short of a religious experience for me. Jim Henson has had an impact on my life that no other creator of fiction has ever managed to match. His creations make me laugh uproariously but they also make me feel as no other characters do, as if they can peer into my soul and provide exactly what I need at any given moment, whether it be humor or poignancy or joy. Then, in 2013, Brian Jay Jones’ truly magnificent Jim Henson: The Biography–which I cannot recommend highly enough–came out and made me appreciate both the man and his work on what felt like an even deeper level than ever before, and ever since that point, I’ve wanted to make my own journey through the career and works of Jim Henson. At the time, however, there were just too many gaps in my Henson library to do this project justice, particularly given I don’t live in New York anymore (boo! ), so don’t have access to a television archive. In the past year, however, a wealth of Henson footage from throughout his career has appeared online, and when I recently searched through it, I found that my wishlist of Henson material could be almost completely filled, and what with interest in Jim and his beloved Muppets at a current high, thanks to the brand-new Tuesday night ABC series, The Muppets (which only recently proved that Muppet news could still set off a firestorm, thanks to the publicity surrounding Kermit and Piggy’s “break-up”), I felt like this was finally the right time to do this, and to blog the journey as I went along. 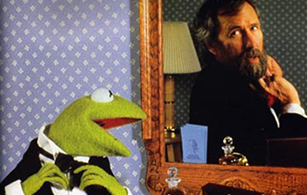 And thus HensonBlog.com, one manly Muppet’s chronological journey through Jim Henson’s career (not that I’m so manly, but I’m clearly much more of a Walter than a Gary)! My plan is to cover absolutely everything I can get my hands on, from his vintage TV work, including Sam and Friends, commercials, and guest appearances on variety shows, to pilots for shows that weren’t picked up and more to his most well-known series and characters to his early, experimental short films to his longer film work. And once a week, I’ll be interrupting with a review of the latest episode of the brand-new series, The Muppets. 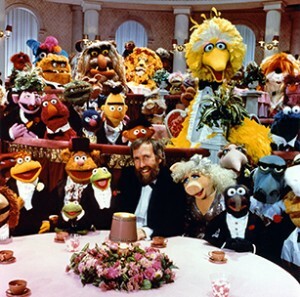 Here there will be Muppets and Fraggles and Skekses and Goblin Kings, but, most of all, the frog of my heart and the kind bearded man who brought him to life. And this all begins tomorrow, September 24, on what would have been Jim’s 79th birthday. First, however, later today, I’ll also be posting my review of The Muppets‘ pilot episode. I hope you’ll come back for that and the site’s grand opening tomorrow–which I’ll be celebrating with my first chronological entry–and that you’ll choose to continue following along with me on this quest. Until then, mahna-mahna!